the indoob! network | Writing, storytelling, entertainment watching, food eater. Join Sterling and the Indoob Podcast with special guest comedian Chris Clark for the live 100th episode on Friday, May 17th! Get your tickets for the comedy show NOW! Support the indoob Network on Patreon! Want to support the indoob! network? Visit the indoob! network store and become a Patreon subscriber! 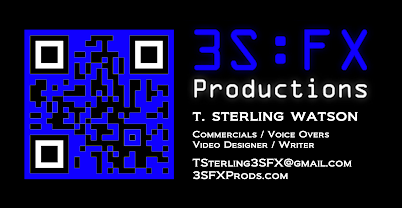 Visit my video production site 3S:FX Productions.